I know we still have a little ways to go before Autumn starts but I'm for sure looking forward to it. Lately we've had a lot of cooler weather, at least for August, and I've started pulling out my sweaters and hoodies. While I love the summer, as far as my attempts at modest dressing Fall is a whole lot better. But anyways here's my Autumn Look inspiration. I went with a super casual and comfortable outfit that still has some really cute pieces. Sweatshirt - While I'm really guilty of wearing tons of athletic wear, this sweatshirt is a bit of a step up from that. It has a more square cut (that's super trendy) and a neutral color that feels a little dressed up. Jeans - Per usual I went with a pair of high waisted skinny jeans that are flattering on so many body shapes. Plus it's great with a looser top. Hat - I know it seems a little strange to wear a baseball cap when you have a hood but in street style looks it really is the norm. I love that this one has a cute saying and is denim. Backpack - It's back to school time, which of course means a new backpack and this one is for sure one of the cutest I've seen. Shoes - Last but not least are the shoes. They're neutral from the design to the color and pull in well with the sweatshirt and bag. And now for the makeup! For this look I went with a super natural look which seems to be where the trend is going. Lipstick - I just went with a very neutral pink that has a long wear time. Contour kit - I know it isn't in quite as much in anymore but natural looking contour is still an essential part of my makeup. I'm also pretty partial to the brown eyeshadow looks. Highlight - What's really in is of course gorgeous highlight so of course I added that to this autumn makeup essentials. Mascara - Last but not least is the mascara. I specifically picked this Dior one because after trying it out myself I love it. My giveaway is a part of the "Jeepers! It's January!" 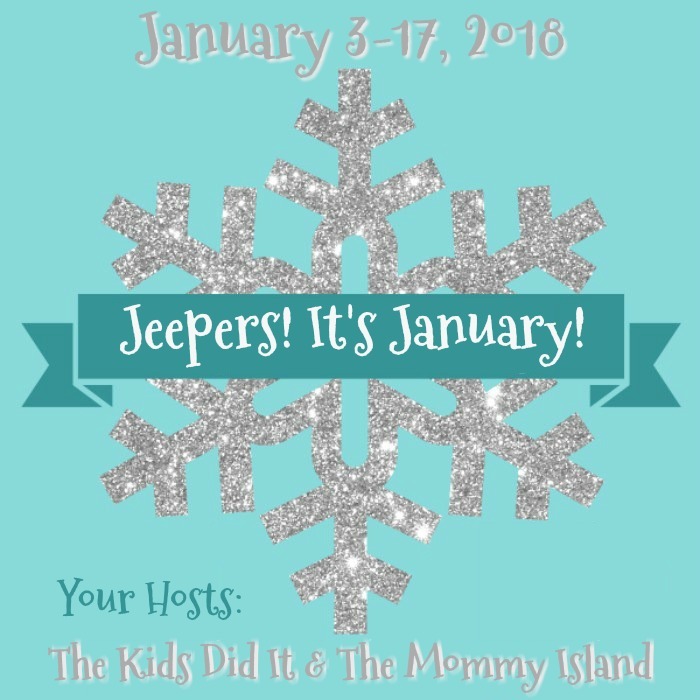 Giveaway Hop hosted by The Mommy Island and The Kids Did It. Check out the Rafflecopter below to see how you can win a $25 Amazon gift card. and be sure to enter the other giveaways in the hop!